Before I kick into the second half of Lovejoy’s story, I thought it’d be interesting to explain how this post came to be. A few weeks ago, a small package arrived on my porch. Inside, I found a copy of Edward Beecher’s book Narrative of Riots at Alton. Obviously, Someone was trying to tell me that Elijah P. Lovejoy would be a good topic for this blog. To be honest, I can’t get enough of the positive feedback I get for Distilled History. It brightens my day. I keep waiting for someone to tell me that I’m a fraud, that I can’t write, or, that I’m mind-numbingly boring. It may happen after this post, but it hasn’t happened yet. Other than a pretty librarian telling me I should cite my sources better (which I should), I’ve had nothing but great feedback. However, along with that feedback comes a flurry of suggestions for future posts. Although I appreciate them, I’ll admit that I prefer to follow my own instincts. Read this blog and you’ll understand that part of the creative process is my stumbling upon something in St. Louis that piques my curiosity. This blog post is an exception. I’ve always wanted to learn more about Lovejoy, but I didn’t really have a hook to bring it into Distilled History. That changed when the book by Edward Beecher arrived in my mailbox. Although it came anonymously, I knew who sent it. Thirty-six years ago, on the first day of first grade in Mrs. Mitchell’s class at Arthur W. Booth School in Elmira, New York, I met a kid named Steve Wald. We spent the next twelve years navigating school together, and now we live at opposite ends of the state of Illinois. Thinking back, I believe there are only a handful of people in this world that I have known longer. Steve is also one of the most intelligent and talented people I’ve ever met. After thirty-six years, he’s earned the right to suggest a blog post. Several months ago, Steve told me about Edward Beecher, the author of the book he sent. Beecher was a close friend of Lovejoy’s and one of his strongest supporters. An abolitionist himself, he became the first president of Illinois College in 1830. Even better, Beecher has strong ties to our hometown of Elmira, New York. He’s one of the siblings in the famous Beecher family. His brother was the pastor at Park Church in Elmira (a bit more about him here), and his sister was Harriet Beecher Stowe, author of Uncle Tom’s Cabin. As I read Beecher’s book, it became apparent that the impact Elijah P. Lovejoy had on American history went far beyond the issue of slavery. The real issue behind the Lovejoy conflict was freedom of speech. As Beecher eloquently details in his book, Elijah Parish Lovejoy was murdered as a result of his steadfast refusal to abandon that basic right. With my reasons for this subject out of the way, let’s pick up Lovejoy’s story in Illinois. After the fallout of the McIntosh lynching in St. Louis, Lovejoy decided to move his family and newspaper north to Alton, Illinois. Believing he’d gain more acceptance in a free state, it would take just a few hours for reality to set in. The salvaged pieces of his broken printing press were shipped to Alton and arrived on a Sunday in July 1836. Considering it a sin to work on the sabbath, Lovejoy allowed the press to sit idly in a warehouse until the next morning. That evening, a group of ruffians (reportedly from Missouri) broke into the warehouse, destroyed the press, and threw it into the river. With the financial backing of a few prominent businessmen, Lovejoy had a new printing press up and running by September 1836. Although Lovejoy attacked slavery in his first issue, the first several months of publication were rather uneventful. Lovejoy focused on religious issues, he continued his assault on Roman Catholics, and campaigned against the evils of alcohol. It was during this time that he also became the first pastor of the College Avenue Presbyterian Church. But as 1837 began, Lovejoy’s editorials again shifted towards the evils of slavery. In return, opposition to Lovejoy in Alton started to grow. His arguments became militant, and he stated that anyone not fighting against slavery is “fighting against God”. These accusations weren’t popular in Alton. While Lovejoy started gaining notoriety on a national level, he was alienating the citizens of his own town. By July 1837, threats of violence against Lovejoy and his printing press could be overheard in the taverns along the riverfront. City leaders decided to meet again in an attempt to maintain peace. At this meeting, many argued that Lovejoy had broken his initial promise to avoid the issue of slavery in his newspaper. One man stated that to allow the paper to continue publication would be “cowardly”. Although he didn’t attend the meeting, Lovejoy was sent the minutes and asked to cease all discussion of slavery going forward. True to form, Lovejoy responded defiantly. In an editorial published shortly after, Lovejoy finally declared himself an all-out abolitionist. Declaring slavery a “SIN” in capital letters, he refused to be silenced. The population of Alton was becoming enraged as threats of violence mounted. One evening, a mob confronted Lovejoy as he walked through town. Their plan was to capture him, tar and feather him, and put him on display. Knowing their motives, Lovejoy deftly talked his way out of conflict by telling the men he had to deliver medicine to his sickly wife. In a brief moment of compassion, the mob backed down and allowed Lovejoy to continue home. Discouraged from causing physical harm, the mob decided a better result would be to destroy his printing press. On the evening of August 21, 1837, a mob broke into the Alton Observer printing plant. For the third time, Elijah P. Lovejoy’s printing press was broken apart and thrown into the river. Although Lovejoy quickly asked for funds to be raised to replace the press, he began having serious doubts about his future in Alton. He had only a few supporters and financial backers left in town, and he asked them for a unanimous vote if he should resign. They couldn’t come to a decision, so Elijah Lovejoy remained as editor and continued his crusade. A new printing press was ordered. Soon after, Lovejoy teamed up with his close friend and supporter from Illinois College, Edward Beecher. The two men called for a state antislavery convention to be held in Alton in October, 1837. Their plan was to create an Illinois Antislavery Society. But in the planning of the convention, the two men would make a tragic mistake. It was decided that in the spirit of free speech, the convention would have an open invitation. This meant that proslavery supporters would have a voice at the meeting just as antislavery supporters did. As Lovejoy and Beecher supporters from around the state travelled to Alton for the convention, proslavery forces mobilized. Notable among them was the Illinois Attorney General, Usher F. Linder. A crude and hard-drinking man, Linder was a powerful speaker who knew how to motivate followers. When the convention opened on October 26, 1837, Lovejoy was shocked at what he saw. His opponents, led by Linder, had taken full opportunity of the open invitation and packed the convention space. As Lovejoy opened the meeting, proslavery supporters immediately began disrupting the proceedings. As tempers flared, it was decided to postpone the meeting until the next morning. As the meeting broke up, Linder climbed upon a woodpile outside the hall and openly ridiculed Lovejoy, much to the amusement of his followers. The next day didn’t go any better. Clearly outnumbered by proslavery supporters, the convention that intended to establish the Illinois Antislavery Society succeeded in voting for a list of proslavery resolutions. Among them was Linder’s resolution that slaves were property and the Constitution prohibited taking away one’s property. The convention was a meaningless disaster. Adding to the drama, everyone was aware that a new printing press was scheduled to arrive at Alton within days. Knowing that violence was likely, Alton was gripped with tension. Even Lovejoy and his supporters armed themselves in preparation for defending the new printing press. City leaders decided to hold another meeting in an effort to halt the “present excited state of public sentiment”. At the meeting, a committee was organized to consider and vote on any resolutions presented. Edward Beecher spoke and made an eloquent proposal for the establishment of free speech. The committee rejected his resolution. They responded by introducing substitute resolutions asking for Lovejoy to cease publication of the Observer and leave Alton. Finishing his speech by declaring that he will make his final stand in Alton, Elijah P. Lovejoy turned and walked out of the building. While many wiped tears from their eyes, Usher Linder was overheard telling a colleague that Lovejoy would be “killed within two weeks”. In the early hours of November 7, 1837, the steamboat Fulton arrived at Alton. Aboard it was Elijah Lovejoy’s fourth printing press. Winthrop Gilman, a wealthy supporter of Lovejoy’s, volunteered to store the press at his warehouse on the riverfront. Despite threats that armed men were ready to attack as soon as it arrived, the night passed without incident. In the early dawn hours, a group of men, aided by Lovejoy and Edward Beecher, moved the press into Gilman’s warehouse without conflict. Thinking the threat had passed, Lovejoy returned home that morning to check on his family. Edward Beecher left Alton and returned to Illinois College. But as the day went on, word spread throughout the town that the press had arrived safely. In the taverns, heavy drinking fueled the anger of Lovejoy’s opponents. By early evening, rioters had assembled and began marching towards the warehouse. They demanded that if Lovejoy didn’t give up the press, they’d blow it up. Inside the warehouse were nineteen armed men, including Eljiah Lovejoy and Winthrop Gilman. The mayor, John Krum, attempted to intervene, but to no avail. Rocks soon broke through every window of the building. As the situation escalated, gunshots were fired. Others attempted to break down the door by charging at it with a log. From inside the warehouse, someone returned fire and killed a man in the crowd. News of the casualty enraged the mob further. A ladder was placed up against the building and a man attempted to climb up and set the wooden roof on fire. Two men, including Lovejoy, rushed out and pushed the ladder away. Unsuccessful at first, the mob regrouped and a few men with rifles moved around to an area behind a woodpile. They knew what to do during the next attempt to set fire to the roof. When the ladder was positioned again, Lovejoy and another man quickly ran out again to push it away. As they did, a series of gunshots rang out. Elijah Lovejoy was shot five times. Proclaiming “My God, I am shot!”, he died shortly after. With Lovejoy dead, the men inside realized they had no choice but to abandon the warehouse. Despite assurances they could leave safely if they left the printing press, the men were fired upon as they fled. The mob overran the warehouse, broke up the printing press, and for the final time, threw it in the river. The next day, on his thirty-fifth birthday, Elijah Lovejoy was unceremoniously buried in a field near his home. The aftermath of the riot was farcical. Winthrop Gilman, the loyal supporter of Lovejoy who owned the warehouse, was charged and put on trial for inciting a riot. Eleven others were put on trial for resisting an attempt to destroy a printing press. One of the prosecuting attorneys was none other than Usher Linder, the Attorney General who heckled Lovejoy at the antislavery convention just weeks before. Fortunately, all men were acquitted. Four men claimed the “honor” of having killed Lovejoy. Since he was shot five times, it’s possible they all played a role. Not one of them was charged with a crime. One of them even went on to become the mayor of Alton. The city of Alton suffered greatly in the wake of the Lovejoy killing. 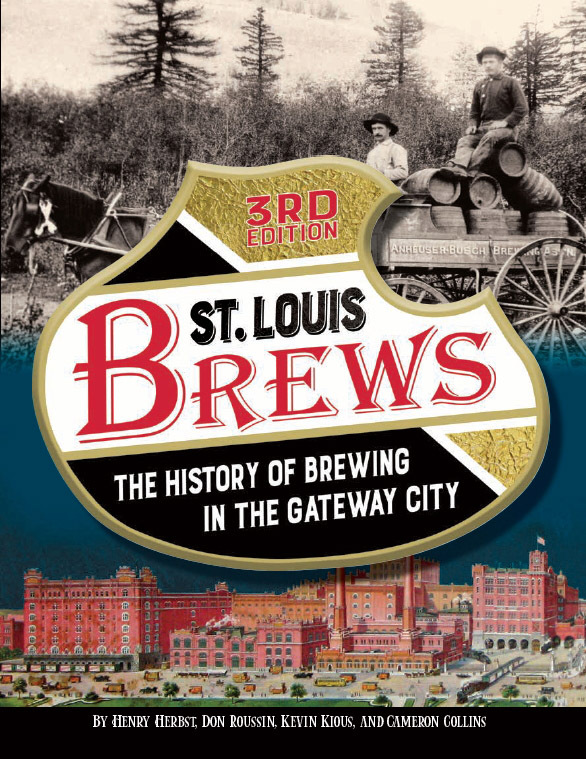 Once considered a boomtown that could even surpass St. Louis as the population center of the region, the city became the object of national scorn. Viewed as a lawless den of violence, newspapers around the country labeled it as a city of “blood and infamy”. The population of Alton dipped as people began moving away. Property values plummeted. The bad reputation ebbed over the years, but it was too late for Alton to regain a prominent position in the midwest. On the other hand, the cause of abolition benefitted greatly from the tragedy. Around the country, membership in antislavery societies skyrocketed. Meetings, organizations, and groups were formed to protest Lovejoy’s death, bringing new voices to the antislavery cause. Elijah Lovejoy had become a martyr for the abolition of slavery and for the freedom of speech. His impact would remain significant over the years as people like John Brown, Harriet Beecher Stowe, and William Lloyd Garrison advanced his cause. The legacy of Elijah Lovejoy has even been revised in Alton. Years after his murder, a man named Thomas Dimmock located Lovejoy’s grave beneath a road in Alton’s city cemetery. He had his remains moved and Lovejoy was given a headstone that reads (in Latin): “Here lies Lovejoy. Spare him now that he is buried”. In 1897, the citizens of Alton realized recognition was in order, so a large suitable monument was constructed. For the drink section of this post, I had the same problem I had in Part I: Lovejoy didn’t drink. He really went after drinkers when he got to Alton, so I’m not sure if he and I would see eye to eye on this particular issue. Still, I found a place in Alton that oozes history. It has nothing to do with Elijah Lovejoy, but it’s located just a few hundred feet from where he met his fate in Gilman’s warehouse. Actually, I believe it’s the closest place to that spot where one can order a drink. Located on State Street in Alton is the State Street Market. What’s significant about the building is what it used to be called, which was the Franklin House Hotel. This is the building that served as the headquarters for Abraham Lincoln in his final debate with Stephen Douglas on October 15, 1858. Although there is no mention of Elijah Lovejoy in the transcript of that debate, it’s hard to imagine that Lincoln did not at least think about the legacy of Lovejoy while he was there. At the very least, I think Lovejoy would be pleased by the lack of alcohol at the Franklin House today. When I asked if I could get a beer, I was given an option between a Bud Select and a Bud Light. The legacy of Elijah Lovejoy lives on. Finally, for my readers who tend to prefer the drinking aspect of my writing, I apologize for not going into more detail about a Bud Light. There isn’t much to say about that beer that hasn’t been said by us all. I do have big plans for drinking in my next post, so please stick with me. I’m not sure which part of this post was a bigger tragedy. Lovejoy’s death or the Bud Light. But in all seriousness, a great blog. Just found you recently by way of another St Louis blog. Fantastic stuff. Keep it up! If the press was destroyed, how was “a Martyr on the Altar of American Liberty” published? Great question. It’s been a while since I wrote this post, so I had to look up the article you reference. I don’t know the answer, but my guess is another press in town was used for a final issue. He did have many supporters in town, so it’s possible they made it happen. That’s a best guess, though. I’ll ask around next time I’m up in Alton. Just an FYI Lovejoy was the minister at College Avenue Presbyterian Church, which is the church in the photograph. First Presbyterian Church is located at 4th and Alby near the river, but Lovejoy never preached at First Alton, nor was he the minister there. I enjoyed reading the article and look forward to future work…now about that Bud Light….. Given Lovejoy’s views in regards to those evil distilled spirits, I would invite you to a fine new establishment name “Elijah P’s” located at corner of Piasa and W. 4th in Downtown Alton, 2 blocks north of the Visitor’s Center. Opened by Russ Smith of Bossanova fame, it features 60 craft draft beers and a plethora of craft whiskeys. Worth the trip! Thanks for the heads up! I’ll definitely check it out. Cheers! I’m originally from Alton and made a diorama of the Lovejoy monument in fifth grade. Lovejoy has been recognized by University of Missouri with an award for journalism. Love the stories, and look forward to more. Thanks! I wrote this one quite some time ago, but it’s one of my favorite topics.